At the age of eleven, in March 2009, Melody Ye Yuan won the first prize of the junior division at the International Violin Competition in Omsk, Russia, chosen by an international jury from 6 countries. 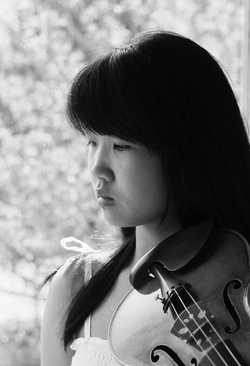 The jury agreed that she is of one of the most important young violinists in the world today. Her ability to sustain a long legato line in slow movements and her virtuoso technique in the fast movements with the gift to communicate and excite her audiences assured her of a promising future.